Practical advice for parents of 2-year-olds. For such a wealthy nation, the United States isn’t an easy place to raise a child. Employers are not required to provide paid maternity (or paternity) leave. Child care is hard to come by or prohibitively expensive. This week, we’ve been publishing a slew of stories that outline the exact contours of this problem and provide a convincing argument for why government agencies should provide more support to parents in the years before their kids can go to school, particularly the year when they’re 2. Even if we make rapid strides to address this problem (a big if! ), these changes will be slow going. By the time they happen, your 2-year-old could be 12 or 102. But don’t despair. Pediatricians and other experts are making advances in toddler science all the time. They’re basically bubbling over with practical parenting advice you can easily apply even when you only see your toddler a few hours a day. We rounded up some useful tips that you can try out right now to maximize your influence and make sure your kids are learning what they need to know. “The year of 2 is all about language,” says Natasha Burgert, a pediatrician and spokesperson for the American Academy of Pediatrics. “It’s language, language, language.” Around this time, kids should know at least 50 words and begin putting them together in simple phrases or fuller sentences. But in order to grow their vocabulary, toddlers need to be spoken to by their caregivers almost constantly. Some parents, strapped for time, have looked for shortcuts for this kind of one-on-one knowledge transfer, like TV shows or video games that purportedly boost learning. You don’t have to buy these things! “Families are just really, really misled by the marketing of these devices,” Burgert says. While kids may seem suddenly loquacious during a show, Burgert says, they may be mimicking what they hear. That doesn’t necessarily mean they’re learning new words. Fortunately, Natalie Brito, a developmental psychologist at New York University, says there is another way. “You can incorporate all kinds of learning into your own schedule,” she says. 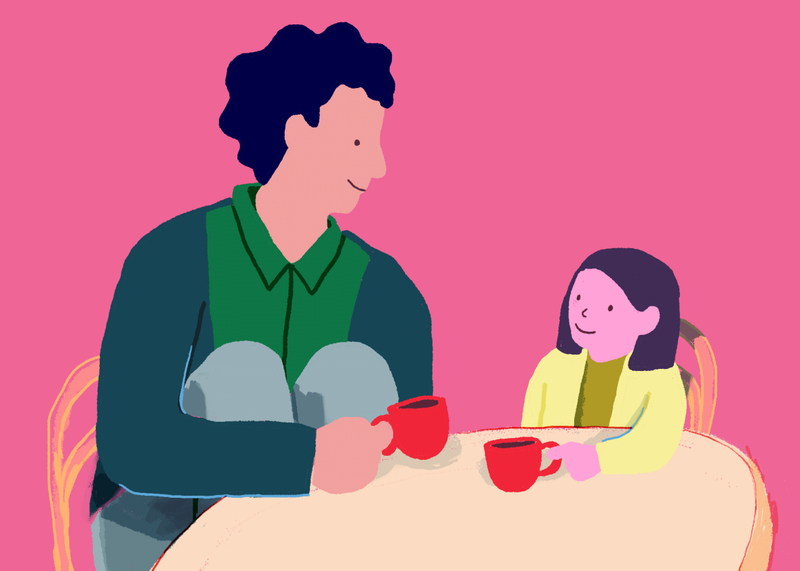 Just narrating your day-to-day life—from the ingredients you’re buying for dinner to the clothes you’re picking out for work—is a big boon to your kid’s language acquisition and shouldn’t take up any extra time. This one is also extremely helpful to busy parents. “I think we really underestimate what a 2-year-old can accomplish,” Burgert says. She recommends that kids this age start doing basic tasks like brushing their teeth and picking out clothes mostly on their own. They should also start potty training and figuring out how to calm themselves down when they get worked up (which, at this age, is often). While it’s likely kids this age has also begun practicing kindness and cooperation (in between those tantrums), they should be given chores that further develop this sense of responsibility. In addition to encouraging cooperation and other positive traits, Burgert says, chores make kids feel like a part of the family unit. “That’s basic self-esteem: Somebody is relying on you to do something to help someone else,” she says. This strong foundation is essential for kids as they grow and begin to test their boundaries. So let them pick up their own toys—it’ll help you, and them. Though it can feel like toddlers need to be hitting certain developmental targets, experts say it’s important to indulge their curiosity and play—a lot. Two-year-olds should be learning how to play quietly by themselves (seriously, nobody likes an adult who can’t keep themselves entertained), and traditional toys like trains and dolls encourage this kind of self-directed creativity. But toddlers should also use play as a way of thinking through problems and learning new things—and that requires an adult to play along. Reading books together is one important part of a daily routine for toddlers. Increasingly, parents rely on screens for this type of stimulation too. Just like everything else in a toddler’s life, screen time has to be carefully managed to be effective. Similar to handing a child who can’t yet read a book and expecting anything beneficial to come of it, Brito says, 2-year-olds shouldn’t be left alone with screens. Instead, shows and games should be watched and played together, with parental narration supplementing media and making screen time more interactive. At the same time, though, parents need to allow kids to direct playtime. “If you’re being a cruise director, telling them where to go and what to do, they can’t develop that creativity,” Burgert says. Allowing toddlers to dictate the rules of the game encourages independent thinking and communication and increases the fun (for them at least). This kind of interaction can also help parents determine whether their child’s development is continuing apace, which is especially important in a year in which developmental delays could crop up.